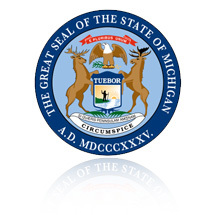 The 37th District Court is part of a State Judicial System, and operates under the supervision of the Michigan Supreme Court. The four District Court Judges, who must be attorneys, are elected by the citizens of Warren and Center Line, for six-year terms. All civil litigation up to $25,000. The arraignment, setting of bail, and preliminary examination of all criminal felony cases. All criminal misdemeanor violations of state statutes where the penalty does not exceed one year in jail. All traffic and parking violations. The District Court also handles marriages, landlord-tenant litigation, evictions, and land contract forfeitures. Garnishments and other creditor collection procedures also originate in the District Court. A Small Claims Division for civil cases under $6,000 is provided in the District Court. Hearings are held, where all parties appear without attorneys. Claims are decided, and judgments may be entered for money damages only. No-fault “mini tort” actions are also handled through the Small Claims Division, with a limitation of $1000 for property damage claims. All small claims cases filed in the 37th District Court are mediated prior to hearing, using the services of The Resolution Center. You may learn more about The Resolution Center at www.theresolutioncenter.com. In the 37th District Court, all testimony is recorded, and every person who appears before the Court has a right to have his case tried by the Judge, or by a jury of six citizens (except in Small Claims cases and civil infraction traffic violations.) All appeals from the 37th District Court are made to the Macomb County Circuit Court. Fines and fees assessed and collected by the 37th District Court are transferred either to the State of Michigan, the County of Macomb, or the Cities of Warren or Center Line, in accordance with a statutorily established distribution formula.